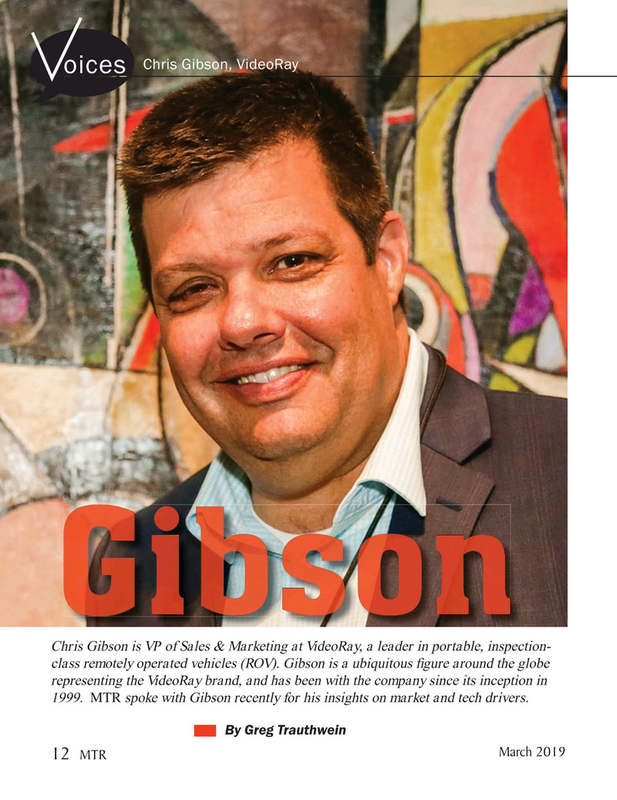 Chris Gibson is VP of Sales & Marketing at VideoRay, a leader in portable, inspection- class remotely operated vehicles (ROV). Gibson is a ubiquitous ? gure around the globe representing the VideoRay brand, and has been with the company since its inception in 1999. MTR spoke with Gibson recently for his insights on market and tech drivers.